Puttaparthi Agastya Nadi Astrologer Sai Bharathi has provided several earlier predictions Mars transits with mutual aspect with Saturn. 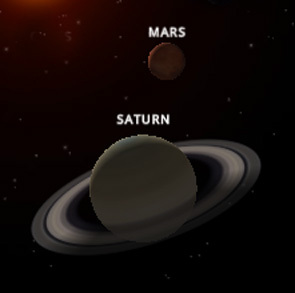 From late September to early November 2015, Mars and Saturn will be in mutual aspect, in fixed signs, creating challenges for all who live on this planet. Readers are advised to undertake puja and hommams and meditate as loka sevanam for the world with selfless love. 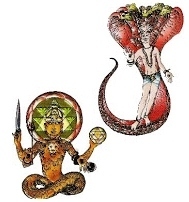 Rahu and Ketu are shadow planets – chaaya graha moving in opposite direction of the motion of the planets. Rahu and Ketu have no real substance but are the points where eclipses are experienced on Earth. The next eclipses of the Sun and Moon (Surya grahan, Chandra grahan) will be during April of 2014). In order to get an idea of the effect of Rahu and Ketu in their normal retrograde action … If you can imagine a flow of people going around an object in one direction, and then two persons pushing and bumping their way through against that flow travelling in the opposite direction, you may get a sense of the disruption and churning that Rahu-Ketu causes in life, not only collectively but also on an individual basis. From 18 October through 16 November 2013, the Sun – Lord Suryanarayana – will transit Libra (Tula rasi). This transit of a house of alliances – particularly high level political alliances – will be challenged by the current placement of Saturn and Rahu, who both occupy Libra at this point in time. 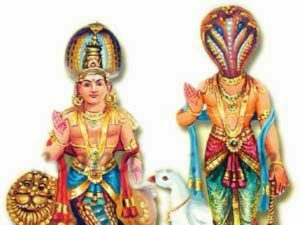 LORD KETU BHAGAVAN WILL MOVE FROM Vrishabha (TAURUS) TO Mesha (ARIES) into First Pada KRITHIKA.